Rural communities in Sri Lanka face tremendous challenges as a result of changes in traditional social and economic structures. Many which have pursued traditional, artisanal trades find themselves without markets and forced into menial labour positions. ‘Animal Tracks’ is a community empowerment programme which builds upon the energy, creativity and commitment of a community whilst inculcating a greater environmental sensibility by demonstrating the interdependence of human, animal and plant life. ImageKoulara, is a small and very remote village that is in close proximity to the Udawalawe National Park. Around twenty years ago this village community survived on brick making, using local clay. When a large sugarcane plantation and factory was established in the area, the villagers of Koulara, who were facing competition from cheaper producers, abandoned their traditional industry and started working as labourers harvesting sugar cane at the plantation. Their incomes fell and they suffered for more than a decade with inadequate wages, strikes and other problems. The Foundation has stepped into the lives of this impoverished community with an innovative pottery project known as ‘Animal Tracks’. In the initial stage of Animal Tracks, 25 people from the Koulara community will be provided practical guidance, equipment and materials as well as one of Sri Lanka’s finest pottery craftsmen who will be their dedicated resource person. They will also be versed in the philosophy of the art that they are learning in order to make theirs more than a purely commercial activity. The villagers will be taught to use their pottery skills for much more than making bricks. They are encouraged to draw inspiration from their environment and the nearby Uda Walawe National Park, to produce artistic terracotta plates, trays and display items. These items would feature the footprints of elephants, leopard and other animals in the National Park. Being naturally of interest to visitors to the Park, the Foundation and IUCN will facilitate a retail space for the Koulara project at the entry to the National Park so that the villagers could sell their eco-friendly, educational, Animal Tracks products to visitors. Through the efforts of Ajith Perera, their dedicated mentor and resource person, the community has also been taught the importance of commitment and the need to take pride in the work they do. For instance the community participated actively; for the construction of their ‘pottery factory’ and ‘visitor centre’. The MJF Foundation provided the necessary materials whilst the community used traditional construction methods and their own efforts on a voluntary basis. The result, opened on 17th June, 2007 is spectacular. ‘Animal Tracks’ is a very different project that combines an understanding of a community with very specific needs and history, the environment, and an eco-marketing concept which is empowering Koulara. Within days of the project’s commencement, community members who were battered by lack of money due to a month long strike at the sugarcane plantation, abandoned their menial, labour roles and embraced the revival of their ancient tradition. 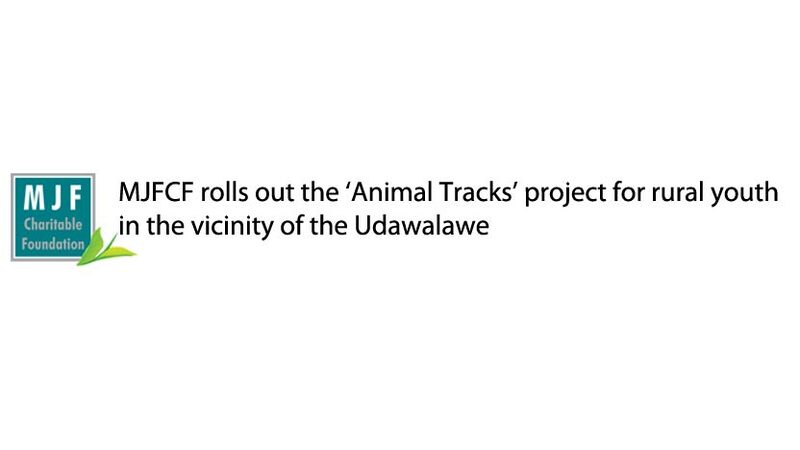 ‘Animal Tracks’ will be replicated in villages around Sri Lanka, in an effort to help marginalised and impoverished villages, regain their relevance and prosperity, in a dignified and traditional manner. The project is being implemented in partnership with the Department of Wildlife Conservation and the World Conservation Union (IUCN).